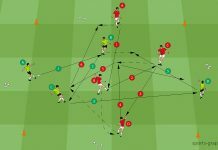 This continues soccer passing drill improves the interaction, communication and timing of your players. 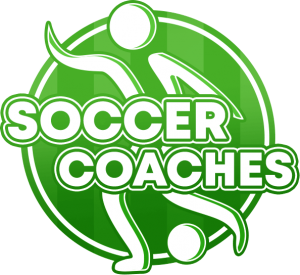 By achieving this, the players will have more confidence in passing to a teammate. 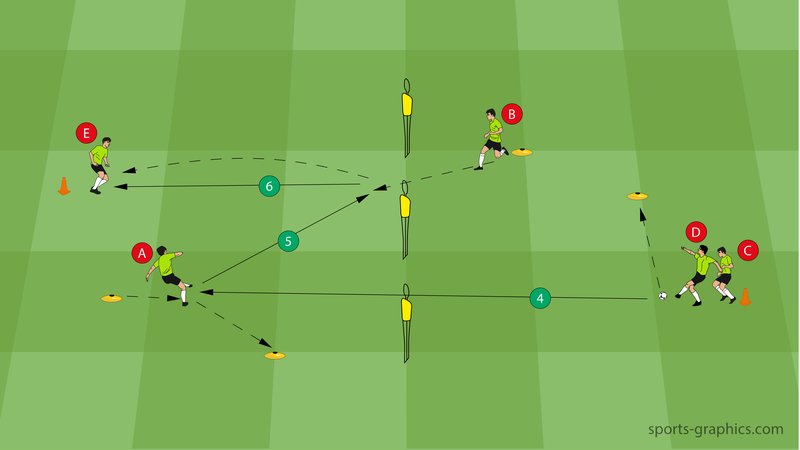 The drill is suitable for U10 and U14 teams. 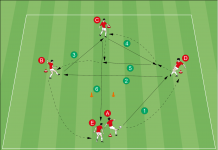 A passes to B and runs to the next small cone.